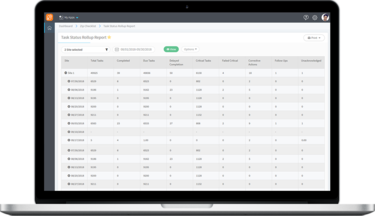 Zip Reporting allows multi-unit businesses to create meaningful and actionable reports quickly and easily. You gain valuable business insights and understand where your strengths and weaknesses lie. Start making better business decisions with real-time reporting. "Zip Reporting makes it so easy to get all the business intelligence information I need. 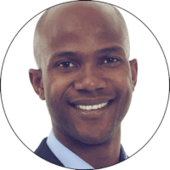 I can create roll-up business reports for district managers and make better business decisions with real-time data reports." A complete, consolidated business reporting solution for your business. When your business is growing, and you begin to manage multiple locations, you need a streamlined way to access and understand data quickly to make informed decisions. 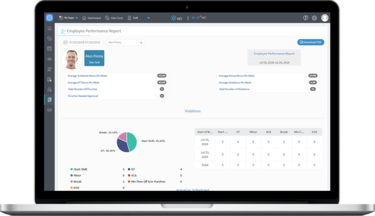 With Zip Reporting, you save time, effort, and frustration that you would encounter otherwise using multiple apps to run your business, or having to manually dig through data just to get an understanding of your business’s performance. Everything you need is in one place. You can quickly and easily find the information you need in a way that makes sense. Zip Reporting can be accessed using your computer, smartphone, or tablet. You can easily access your reports anytime, anywhere without needing to run around just to get the information you need. Grow your business quickly and have all of your sites managed in one spot. Different metrics for different locations? With Zip Reporting, this is no problem. The business intelligence system makes creating reports fast and easy for multiple locations. Through our multi-location feature, you can quickly toggle back and forth from different locations or sites, or even look at the performance of all business locations at once. 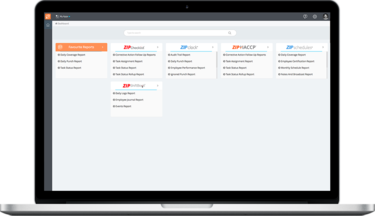 The customization and flexibility in Zip Reporting help you filter quickly through each location to get the information you need. For a few dollars a month, you can make better business decisions off actionable business intelligence.